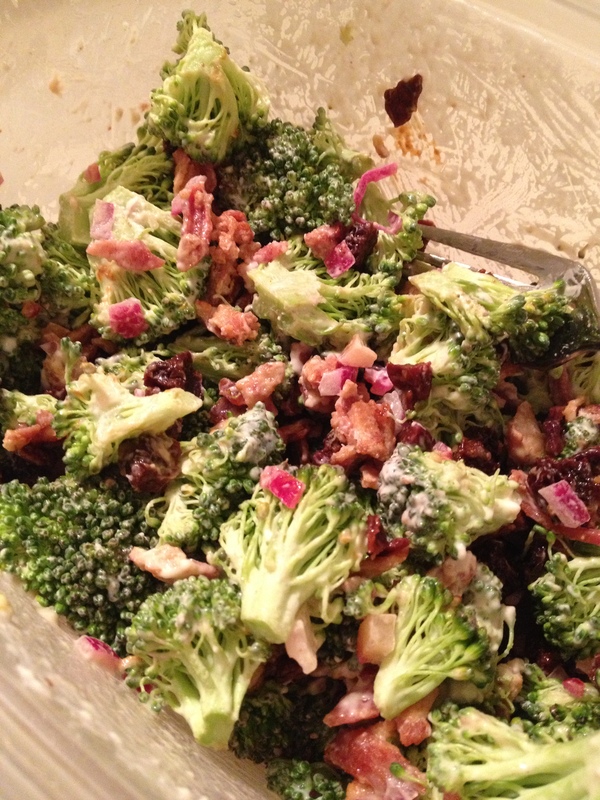 I was determined this week to revise and update the Bacon and Cherry Broccoli Salad this week. I didn’t steam the broccoli, added sugar to the dressing, used real bacon instead of turkey bacon, and chopped the cherries into small pieces. Big differences! Here is the improved and updated recipe. A keeper for sure! Slice the bacon into small bite sized pieces. Saute the bacon over medium heat about 5-8 minutes, until crispy but not burnt. Drain the fat, or spoon the bacon pieces into a bowl using a slotted spoon. In a separate bowl, mix together the mayo, red wine vinegar, sugar, and thyme. Combine well.